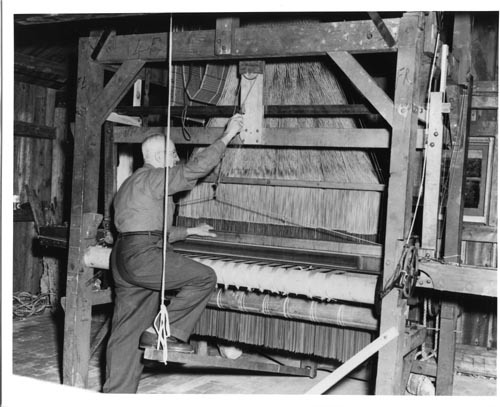 B&W image of a man operating a Jacquard loom. in the upper left are the "program" punched cards. Verso: Paper label "From The Shelburne Museum Vermont"